Was that supplement legal? Or was it something else? The confusion surrounding steroid use in professional baseball has taken another strange turn. 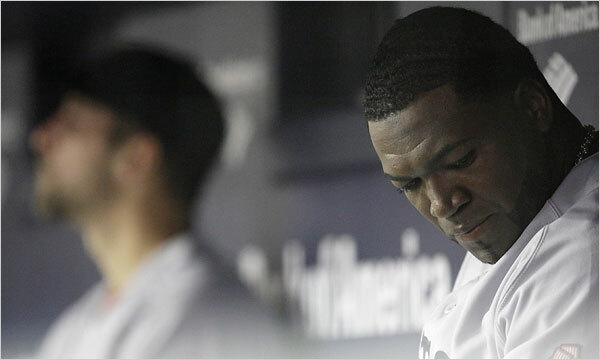 The Associated Press and New York Times report that eight of the 104 players who tested positive for steroids in 2003 fall into another category. The AP says that the eight did not test positive; the Times says that the eight took 19-norandrostenedione, which was legally sold over the counter at the time. It is now illegal and a player caught with it in his system will be suspended for 50 games. Former Red Sox teammate Manny Ramirez, Yankee Alex Rodriguez and former Chicago Cub Sammy Sosa were also on the 2003 list. But for what? The details are in the hands of federal investigators, the players’ union cannot tell its members, and a federal judge has told everyone to keep their mouths shut. Any language confusion in identifying nutritional products may seem unimportant to the public, but to folks in this industry there is a huge difference between a vitamin and a steroid. Or a supplement and a steroid. When companies do not make the distinction to the satisfaction of the FDA, they hear about it. In October 2004, the agency wrote a warning letter to All American Pharmaceuticals and Natural Food Corporation regarding the labeling of the prohormone as a dietary ingredient. “FDA is not aware of any information demonstrating that androstenedione, 19-norandrostenedione, and 5-androstene-3b 17b-diol were lawfully marketed as dietary ingredients in the United States before October 15, 1994,” the letter said in part. Apparently, 19-norandrostenedione is pretty strong stuff: “One of the most frequently misused steroid precursors (prohormones) is 19-norandrostenedione (4-estrene-3,17-dione, NOR), which is, after oral administration, readily metabolised to nortestosterone, also known as nandrolone (durabolin),” begins the abstract to a study published in 2008 on the prohormone. Its effect on the careers of All-Star players and Major League Baseball is being felt today.